This is the substance of the series of lectures delivered by Sri Swamiji at Bangalore, during Sankara Saptaha (from 18-4-72 to 24-4-72 both days inclusive). We hope that the readers of this English version of the Kannada lectures will cordially welcome it as a valuable addition to Swamiji’s works in English already brought out by the Karyalaya. We are grateful for the partial financial help rendered by Mr. Alessandro Bruschettini, via Vassallo-2, Genova-Italy, in bringing out this work. As there was an increasing demand for this enlightening work, which is out of stock, of Swamiji, of revered memory, we have pleasure in bringing out this second edition. The year 1972 was a happy occasion for the Karyalaya, in that the-"celebration of Sankara’s `Week took place twice the first in the Adhika Vaishakha at I Bangalore and the second at Mysore during Vaishakha proper. The Karyalaya is thankful to the devotees in the cities of Bangalore and Mysore, who arranged for this celebration on a grand scale. I have availed myself of this opportunity to publish the substance of both the series of lectures delivered by me, with some additions and alternations, in the English c language in the hope that these may appeal to a larger section of readers. who may be interested in the subject. The distinctive feature of the Upanishads, in contrast with the Sacred Books of various other religions, is that die Rshis here have presented Brahman or Reality in a suggestive language calculated to lead the qualified enquirer to Intuit directly that the God proclaimed in lie various faiths is his actual Self, and the very Substance if which all the universe is an empirical manifestation. The nature of the Intuition of Reality and the process of reasoning which serves as an aid in arriving at It is he main theme of the first series of lectures. 'While there have been a number of interpretations of the Upanishads with a theological bias, Sankara’s has been privileged to stay as the solitary representation of an ancient tradition which claims to reduce the teaching of these revelations into one system and to show how universally applicable that teaching is for all time. 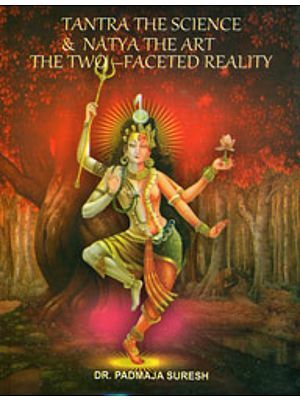 The second series is intended to explain how the various Upanishads uniformally adopt a single Method of approach leading to the ultimate Intuition of Reality. If I am fortunate enough to live to complete the booklet containing this aspect of Vedanta, the reader would see how mutually complementary these lectures are in presenting the kernal of Vedanta. My Narayansmaranams to the Adhyatma Prakasha Karyalaya which has undertaken to publish this book and to all those that have assisted in making this undertaking a success. Special mention is necessary in this connection of two names 1 Mr. H. N. Narayana Rao, MA. B.T., Retired High School Head Master, and Mr. KG. Subraya Sharma, Private Secretary, in passing the Proof-sheets from the press.